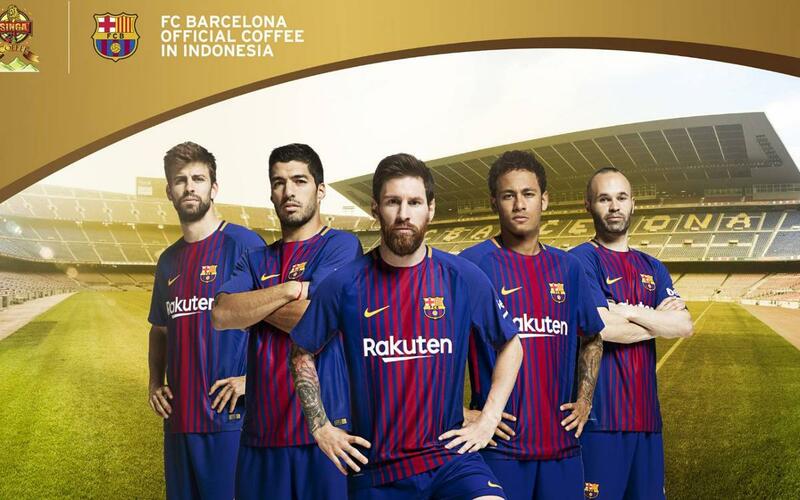 FC Barcelona and Kopi Singa have announced a strategic sponsorship agreement by which the Indonesian company becomes a Club sponsor until June 2019. This agreement is FC Barcelona’s first with a coffee company. The main objective is to promote and consolidate knowledge in Indonesia of both Kopi Singa and FC Barcelona, who will be working to create a joint coffee and to organise a three-day-long event for supporters in the country to get the chance to meet the FCB Legends. Kopi Singa, a beverage and food company which specialises in coffee, is the second largest pure ground coffee producer in the Indonesian modern market. The company was founded in 1928 by Go Soe Poei, and currently has its headquarters in Surabaya, Indonesia. The main objective of the company is to position itself as leaders in the industry, offering one of the highest quality coffees in the market. “I would like to welcome Kopi Singa to the FC Barcelona family. Through this sponsorship agreement I am sure we can join synergies to increase the popularity of Barça, Kopi Singa and football among the Indonesian people. For us, this region is a strategic market and I am sure that this deal will help us to further connect with our more than 26 million Indonesian fans and make Barça the most popular football team in the country”. “We are sure that this sponsorship deal between FC Barcelona and Kopi Singa will bring many benefits to both parties. It also makes us very excited to be the first coffee company to sponsor Barça. We think this agreement will help to attract Barça fans in Indonesia and will generate much potential for Kopi Singa’s coffee”.